The best capital market performances over the last year were awarded prizes by the Budapest Stock Exchange (BSE) this year too, in 18 categories this time. Based on the evaluations made by involving BAMOSZ (Association of Hungarian Investment Fund and Asset Management Companies) as the partner of BSE, as well as 16 banks, investment service providers and fund managers, ANY Security Printing Company PLC received the Special Mid-Cap Issuer Transparency Award at the award ceremony of Best of BSE, on 17th January, 2019. The Printing Company, as a company listed on the stock exchange, has put great emphasis on showing the most transparent operation through the continuous development of its external and internal processes as well as the quality of its reports. ANY won the second place in the category of Eligibility of Investor Relations Officer, while, on the basis of Authenticity of Information, the Printing Company took the third place, outstripping large-cap companies such as OTP or the Hungarian Telekom. Based on the overall transparency, we finished in the fourth place, improving two places, compared with the last year’s assessment results. We, among the mid-cap companies, achieved the best results in almost all categories, so it can be said, that, according to the overall transparency, our company finished in the first place among the mid-cap companies. This year, for the first time, BSE awarded prizes to the corporate personalities considered by the market players to be experts who actively participated in the relationship with small and large investors, and whose activities contributed a great deal to the development of the domestic capital market. 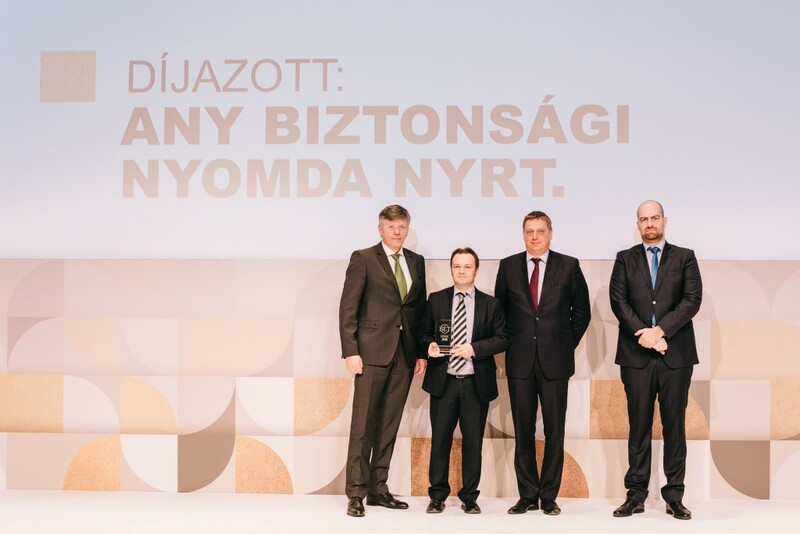 According to the votes, Mr. Gábor Zsámboki, CEO of ANY, also had an outstanding performance among the wide range of candidates.